Well maintained 3/2 DWMH on 1.36 fenced acres. This property is listed below appraised value. This home offers a light and bright interior, with huge bedrooms, walk in closets, the master bath has dual sinks, garden tub with separate walk-in shower and huge closet with built-ins, stone fire place, eat in kitchen, separate dinning area, custom wood blinds, French doors, newer appliances and roof. 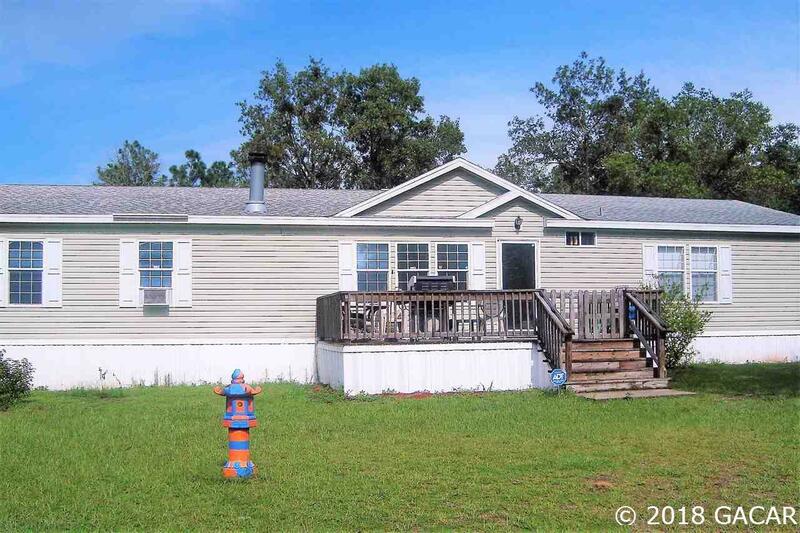 Huge front deck with 2 car-carport, storage shed and another out building that is completely finished on the inside. The back yard is separately privacy fenced, great for pets and you still have the remainder yard also fenced. Gorgeous home this is a must see!!! I promise you will not be disappointed. Listing provided courtesy of Costello Realty.